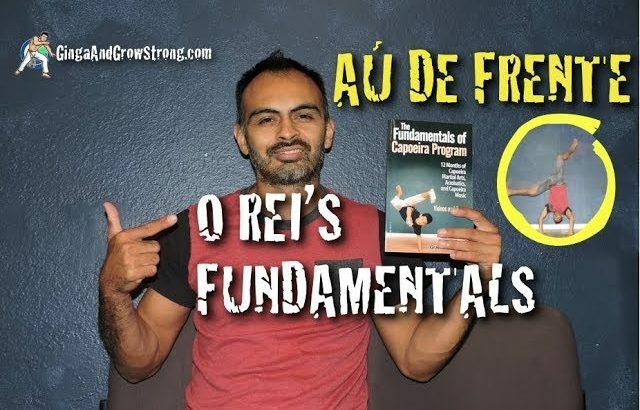 The Au de Frente in Capoeira is a pretty sweet move, Galera. With our three step system, anyone can get it. Let me first talk about mindset. Mindset? Yup. I have some students that already defeat themselves before they even attempt the move. That fact is true in any venture you set off to achieve, but even more true in this one. This is ground acrobatic is very doable for any fitness level. Yes it takes some strength. Yes it takes a little flexibility. 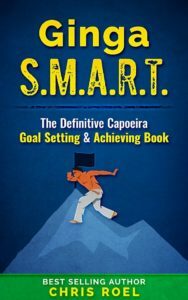 But with the following steps, you WILL be successful in achieving it. Let’s do it. Some of the basics you need is the basic Au, a decent handstand, and a reasonable ponte (bridge). With these fundamentals, you will achieve many of these low level ground acrobatics. Here is the first development sequence of getting Au de Frente over the top. First, you will do a regular Au and land the first foot only. The second foot will remain in the air. As you push off the floor with your hands, you will rotate on the ball of your foot causing your hips to rotate facing the direction of your momentum. Do this slow, and even stop in each step. Next, do it with out stopping, using momentum to push you through this move smoothly. This is almost the Au de Frente over the top but there are two more levels. You can actually start using this version and still look cool. I did it for months when I first started training, so don’t even worry about it looking shabby. But…if you want to step it up, then keep reading. The next level is to stagger your hands in this fashion. If you are performing an Au de Frente to the left, your right hand will be placed further than your left hand, reaching further left (away from your body). Your fingers are now facing left instead of behind your body. As you perform the technique, your lower body corrects in the air and you end up facing correctly at the end of the movement. Here is the final development in going really “Over the Top”. Once you have mastered the last version, you will now attack the move with hips facing left, stance square and your right leg kicks off the ground first. 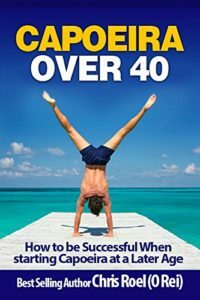 Your body is traveling directly over the top (or at least 70%) like a handstand. As you exit the move, push hard with both hands…but mostly with your right hand off the ground. This will give you more power, and with the right timing assist your momentum in walking out clean of this move. Keep your hips high, and smile when you come out. 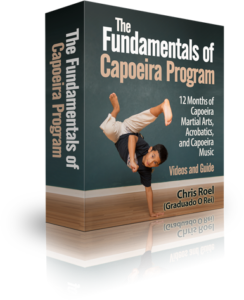 If you need help with some of the basics of this move, make sure to pick up my Fundamentals of Capoeira: The first 12 Months of Brazilian Capoeira. It’s currently on 70% discount. Until next time, galera. Axe. Like this Post? Do me a favor and Share it! Or leave a comment below and I’ll answer it ASAP. Bora!